Seven Streams was a Beam commission for The Arts of Place, a programme of public art works in Bradford City Centre, October 2010, celebrating the creation of City Park. This was a multi-format research project investigating Bradford Beck: its course, tributaries, history, current condition and relationship with the former Bradford Canal. 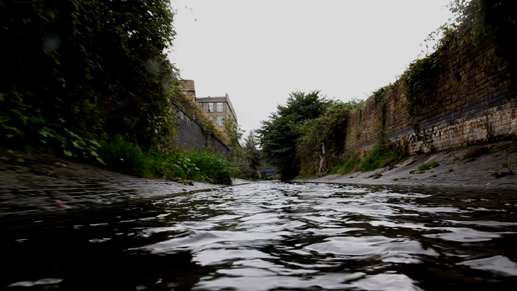 The installation in Fabric’s Pop Up art space comprised 4 films of the beck and tributaries, large-scale mapping, historic photographs and prints, published documentation and live CCTV coverage of the beck. The project base was manned for the duration of the exhibition, and visitors’ stories and responses contributed to a blog providing an ongoing forum for discussion about the beck. 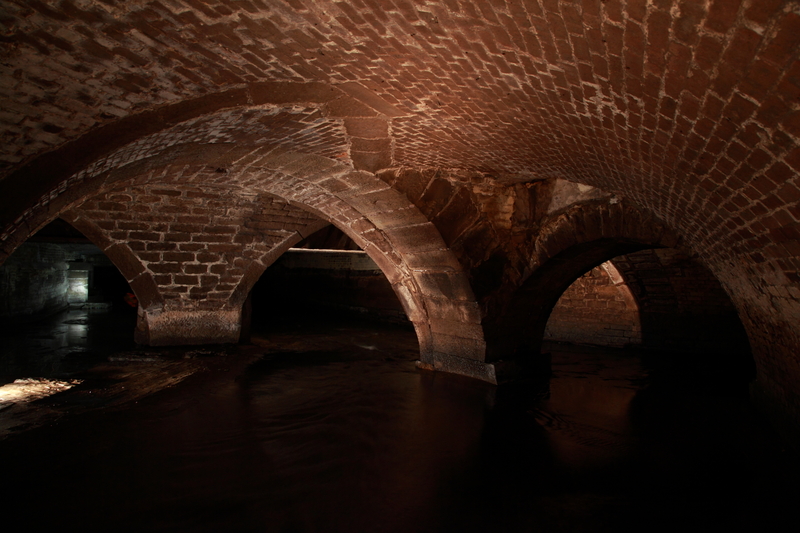 6 upstream tributaries were presented on monitors at the project base, with a longer film of Bradford Beck on its underground journey through the city presented as a separate HD projection. 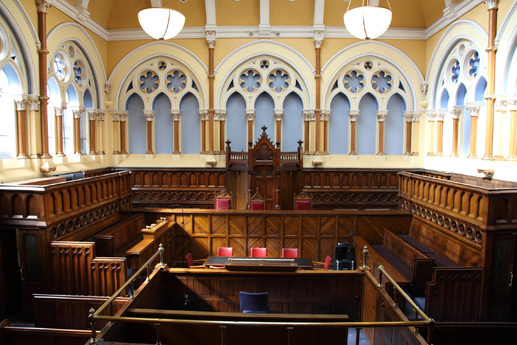 On 3 evenings I led visitors to the Victorian Courtroom in City Hall for a presentation about the history of Bradford Beck, using video projection, poetry, courtroom transcripts, and live music. The other performers were actor Julie O’Connell and composer/musician David Wilson on flute and sax. Seven Streams was created in partnership with Bradford Council (Drainage Team, Key Corporate Projects, CCTV Unit, City Hall, Museums & Art Galleries), Beam, FABRIC, and Bradford Historical & Antiquarian Society. 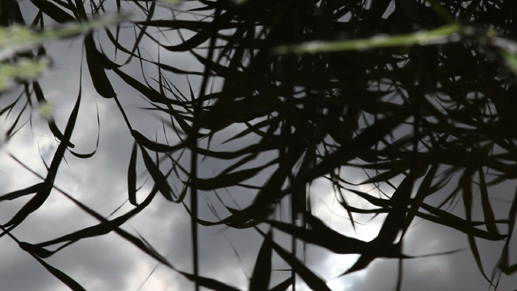 Seven Streams was remounted as a film installation in the international group exhibition Watershed – Art, Play and the Politics of Water at Hall Place Museum, Bexley, Kent in 2015 (curated by ArtWise).